Last month's issue of The Wealth Counselor examined the many benefits of 529 Plans, including the income tax and gift and estate tax benefits of these popular educational savings vehicles. There are, however, several other educational savings vehicles that clients should consider; this issue examines some of these other vehicles - and the advantages and disadvantages of each. Why is saving for education so important? According to the College Board, the average cost of a four-year college or university is increasing at two to three times the rate of inflation. For the 2006-2007 school year, costs average $5,836 per year for an in-state four-year college and $22,218 per year at a private four-year college. Therefore it is no surprise that advisors who understand the options bring significant value to their clients. Planning Tip: Saving for college is often the most significant savings goal for adults facing college costs in the future. The simplest form of education savings vehicles, and perhaps the most common, is an account created under the Uniform Gift to Minors Act (UGMA) or, its successor, the Uniform Transfer to Minors Act (UTMA) in the child's state. While simple and inexpensive, there are considerable disadvantages to UGMA and UTMA accounts. Most clients' biggest concern with these accounts is that a gift made to an UGMA or UTMA account vests absolutely in the beneficiary. In other words, neither the custodian nor the donor can change the beneficiary after establishment of the account, and, significantly,the custodian must deliver the balance of the account outright to the beneficiary when he or she reaches the age of majority (18 or 21, as defined by state law). For a beneficiary receiving government benefits, this required outright distribution may cause the beneficiary to lose his or her government assistance upon attainment of majority. Until the beneficiary reaches majority, the custodian has a fiduciary duty to spend the income or principal for the benefit of the minor. Planning Tip: UGMA and UTMA accounts are the simplest education savings vehicles, but upon attaining the age of majority, the beneficiary has the absolute right to the account and can spend it as he or she pleases, not limited to education. Effective May 17, 2006, the "kiddie tax" may also come into play for beneficiaries who are younger than 18 (it previously applied only to beneficiaries younger than 14). With the kiddie tax, if the parents claim as a dependent a child under age 18, all of that child's unearned income above $1,700 per year (for 2006), including UGMA or UTMA income, will be taxed at the parent's income tax rate, whether or not the parent is the custodian. For children 18 years and older, the income on assets in a UGMA or UTMA account is generally taxed at the child's rate, typically much lower than the parents' rate. Planning Tip: The "kiddie tax" applies to UGMA and UTMA accounts if the beneficiary is under 18 and has unearned income greater than $1,700 in 2006. If so, the beneficiary child must complete and attach IRS Form 8615 to his or her income tax return and pay this tax at the parents' income tax rate. While a transfer to a minor under UGMA or UTMA constitutes a completed gift for federal gift tax purposes at the time of the transfer, if the donor names himself or herself as custodian of the account and that person dies before the child reaches majority, the UGMA or UTMA account assets will be includible in the donor/custodian's gross estate for estate tax purposes. Planning Tip: A donor should not name himself or herself as custodian of the UGMA or UTMA account to avoid the account assets from being included in the donor's estate for federal estate tax purposes. Education Savings Accounts, formerly Education IRAs, were of little significance until passage of the Economic Growth and Tax Relief Reconciliation Act of 2001 (EGTRRA). EGTRRA increased the maximum annual contribution limit from $500 to $2,000 per beneficiary, while also increasing the AGI limits for maximum contributions to these accounts. Significantly, as a result of EGTRRA, a donor can make contributions to an ESA and a College Savings Plan for the same child in the same year. Moreover, while 529 Plans are limited to paying for higher education, ESAs can be used to fund primary and secondary school. Planning Tip: Clients should consider contributions to both 529 plans and Education Savings Accounts for the same beneficiary in the same year, to cover educational expenses of primary through higher education. The inside cash buildup of permanent life insurance policies such as whole life, universal life, and variable life offer another opportunity to accumulate funds that can be used for educational expenses. This strategy usually makes sense when the client has an already existing need for life insurance (such as protecting a family's income in case of death). A very simplified explanation of this technique is for the client to pay into the life insurance policy more than is needed to support the policy through the life of the client. These extra funds accumulate inside the life insurance policy on an income tax free basis and can be accessed by the client when his or her children reach college age (or if there is an emergency or other need). Flexible premium universal life and variable universal life policies typically include the option to take partial withdrawals from, or loans against, the cash value of the policy (some policies even have a "wash" loan feature that makes loans even more attractive). When the time comes, the client will either withdraw or borrow the necessary college funding from the accumulated cash value of the life policy. Withdrawals from a cash value life insurance policy (other than a modified endowment contract) are not subject to income tax until the cumulative withdrawals exceed the cost basis, or the aggregate premium payments on the policy. Loans from such policies are likewise not taxable at the time of the loan nor are they taxable if they are repaid from the death benefits when the policy "matures." Careful planning is needed to determine the premium structure, the best method to access the cash buildup in the life insurance policy, and to make sure the viability of the policy is not endangered. Usually making withdrawals to basis first and then borrowing from the cash value is the preferred method to access the cash value of a policy having any loans repaid at death from the income tax free proceeds of the life policy. An added benefit of this technique is that if the client dies prematurely the death benefit from the life policy becomes available to pay for college or other family expenses. As with most sophisticated planning, there may be traps for the unwary. For example, there can be very negative tax effects if the plan is not designed properly or the policy doesn't perform as expected and there isn't an adequate cushion so that the life policy lapses before death. And of course there are estate tax considerations to be taken into account. That said, in the hands of an experienced life insurance professional, this technique can be quite beneficial and allow for several potential needs to be met with one planning device. Planning Tip: Clients should consult a knowledgeable and experienced life insurance professional and tax counsel when considering the use of permanent insurance to fund higher education or provide additional cash benefits in the event of a bread winner parent's premature death. Demand rights convert what would otherwise be a gift of a future interest to a gift of a present interest, thereby qualifying the gift for the $12,000 gift tax annual exclusion. 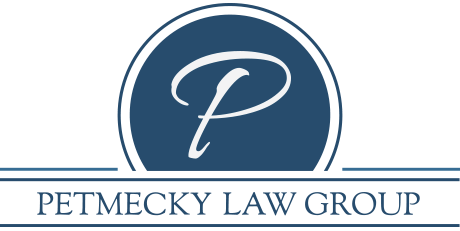 To qualify, the trustee must adhere to the strict procedure requirements for Crummey trusts: the trustee must immediately notify the minor beneficiary through the child's legal guardian that the donor has made a gift to the trust. The beneficiary then has a specified period of time (typically 30 days) to demand a distribution from the trust in the amount of the gift. If the specified number of days lapses, the gift will stay inside the trust and continue to be governed by the trust terms. This demand right allows the trust maker to make contributions of up to $12,000 per year, free of gift tax and possibly generation-skipping transfer (GST) tax. Demand trusts remove the trust assets from the trust maker's estate, even if the trust maker acts as trustee, as long as the trust instrument limits the trustee's discretion to make distributions to "ascertainable standards;" i.e., the education, health, maintenance and support of the beneficiary (and provided the trust instrument does not give the trust maker too much control over the trust). If a demand right beneficiary dies during the time that a demand right is outstanding, the amount of the outstanding demand right is includible in the beneficiary's gross estate for estate tax purposes. Planning Tip: Demand trusts are a flexible savings vehicle for education expenses and other expenses set forth by the trust maker in the trust agreement. While typically funded with life insurance, the trust maker can also fund a demand trust with other assets. Another educational funding option is for the donor to make transfers directly to an educational institution. Under the Internal Revenue Code, these transfers are not subject to gift, estate, or GST tax. Therefore, prepaid tuition payments by a donor can achieve a significant estate tax reduction. Direct payments are not deductible as a charitable contribution for income tax purposes, however, because they are made for a particular student. Since only direct payments to the educational institution qualify, it is highly recommended that the donor make contributions to the school while the child is presently enrolled. If the donor wishes to make advance payments for numerous years' tuition, the donor (and the parent(s) if the donor is the student's grandparent) should enter into a written agreement with the educational institution providing that (1) the donor and/or parent will pay any future tuition increases; (2) the prepayments are non-refundable; and (3) the prepayment does not afford the child any additional rights or privileges over any other student. For some clients, the impact on needs-based financial aid may play a role in the selection process, because assets placed in the student's name may reduce (or even eliminate) the amount of otherwise available financial aid. The needs based financial aid rules state that 5% of the parent's assets (special rules determine this amount for financial aid purposes) and 35% of the child's assets are available for education. Therefore, shifting assets from the parent to the student through the use of UGMA/UTMAs, ESAs, and 529 plan distributions may reduce the student's needs based financial aid. Alternatively, life insurance should not impact needs based aid, whereas a demand trust will depend upon the child's access through the trust terms. Planning Tip: Avoid shifting assets to the child if the client is concerned about the potential impact on needs based financial aid. There are numerous education savings options. Most often, the "right" choice for the client will depend upon his or her unique goals and objectives. It is therefore incumbent upon all wealth planning professionals to help the client determine those objectives and advise accordingly.